We are rejoicing that we can greet you this summer and share with you even a small part of what is happening in the ministry of HUB and the Bible school. With a mission conference and gathering former students of HUB and many guests we’ve finished 21st year of the Bible school. A year of many blessings and life together is over and we are glad that we could share our lives with students for this time and see how God has taught them and built them up while they were studying God’s Word and serve to many. Pray for this group of people and their further steps. Enrollment is now open for the new school year and new students. We pray that God will bring the right people who will study next school year here. The HUB Bible school by now has finished over 350 students and many of them are included in the mission work, church ministry, christian organizations, etc. 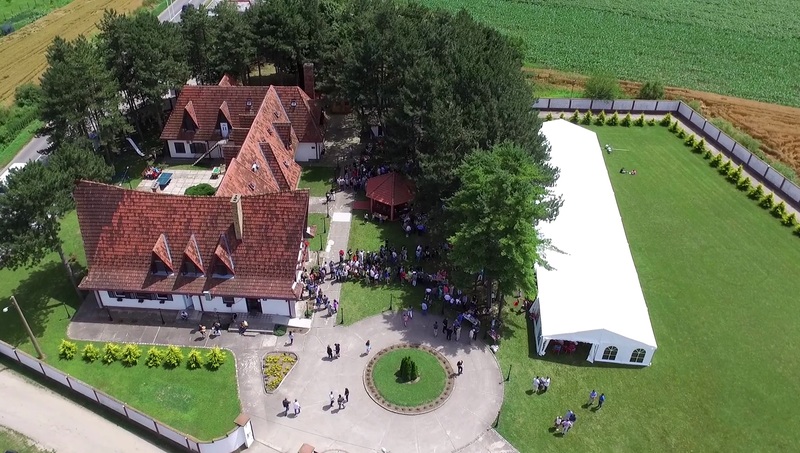 HUB is still the only one interdenominational evangelical school in Serbia that offer full time intensive studying. Only in the first year of studying, students have over 900 classes of teaching, while studying all the books of the Bible with over 50 teachers, they have at least 30 days of practical ministry and countless hours of traveling, serving, visiting churches, etc. During this school year we have visited over 50 churches with the students, where we could serve. We pray that the HUB Bible school will continue to be a blessing to many while equipping people for a ministry in Balkans. Someone said that Belgrade is a city that never sleeps. We say that HUB is a place that is never empty. So this summer also at HUB we are hosts of many camps and retreats. We are especially inviting you to pray for our Camps of Hope. Camp for families with kids who were treated for malignant diseases is from 13-17th August, as well as camp for families with kids with disabilities from 20-24th August. We still have a need for volunteers who will serve with us to these families. A year ago, from dreams to reality! „My little café“ in Opovo has been opened for 9 months now and we truly see that it is a real thing that through this work, as believers, we can be closer to the community, meet new people, be more visible and more accessible. As people of God, we can offer many things and as ’’the greatest missionary’’ of all times, Jesus, we walk and meet new people every day and offer them an opportunity to see us and get to know us. That is a zone with less comfort, than in which we maybe used to be, but that is a zone where God is calling us to be. We organize in the cafe many events, creative and educational workshops, musical nights, … We pray that this place will be a good model and that something like this would be expanded in many cities and villages in our region and wider. So, we still continue to „dream“ dreams and pray for what is from God to stay! This is just a glimpse of what God is doing through the ministry of HUB. Thank you for your faithfulness and for standing firm with us. Pray for us while we continue further on! God is great! Heartfelt greetings from HUB and all of us. I hope this email reaches you well. We wanted to look back onto the past period we’ve had here at HUB, and share a little of what God’s doing here. 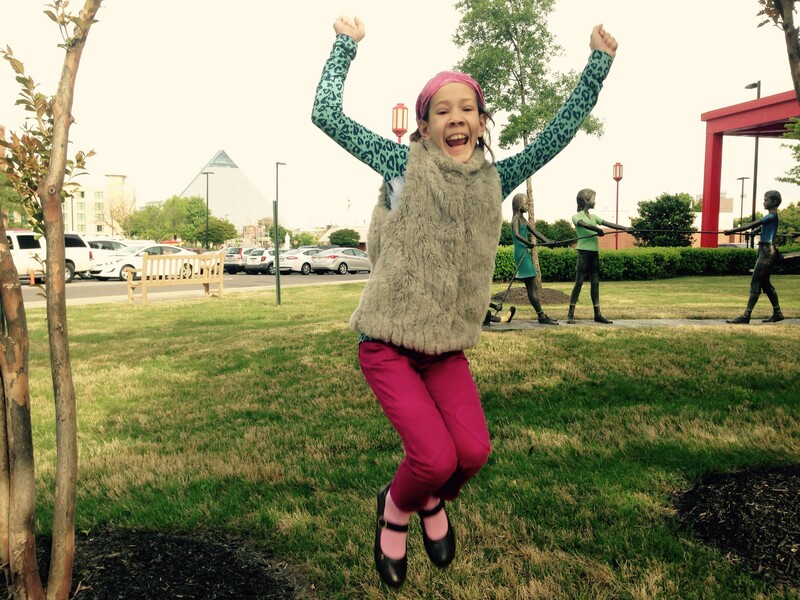 We just finished our last semester of the school year and the students have gone back home. The 20th generation of the Bible school left and we can’t wait to see how God will use them while they continue on in ministry. We’re thankful to God for giving us the opportunity to serve them here and help them acquire a lot of knowledge, experience and many blessings. It’s amazing to see how God have been working in them in this past year. 20th years of HUB – GOD is faithful ! We had a huge event on June 18th here at HUB. 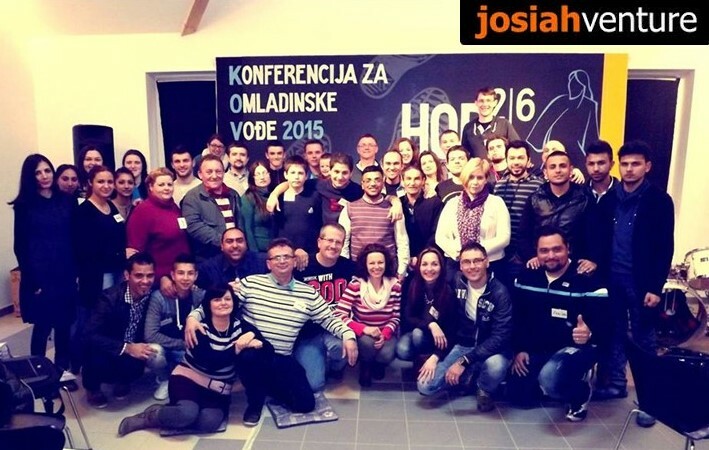 Praising God for his faithfulness in these past twenty years of the School and the ministry of HUB here in Serbia. As always – we’re expecting a “hot” summer here. HUB will, again, be a host to many this summer. We are glad that we can offer churches and organizations a good place to organize summer camps and our hospitable staff team and volunteers. 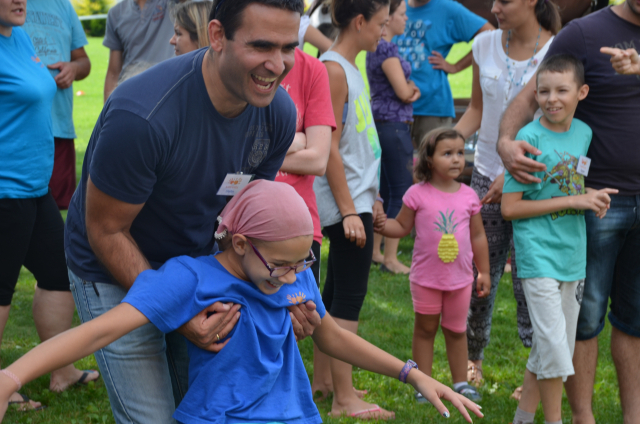 Apart from that – again at HUB, we’re organizing a family retreat for families with children that were treated for cancer, and also another camp for families with children with disabilities. This is something that we had at HUB last year that was really amazing. The volunteers, the staff team and the guests were all blessed by what we’ve experienced at camp in those days. We see that HUB can contribute so much to those families. We are honored for opportunity to be their “hands and feet” as they are experiencing unforgettable moments here. Pray for those events. 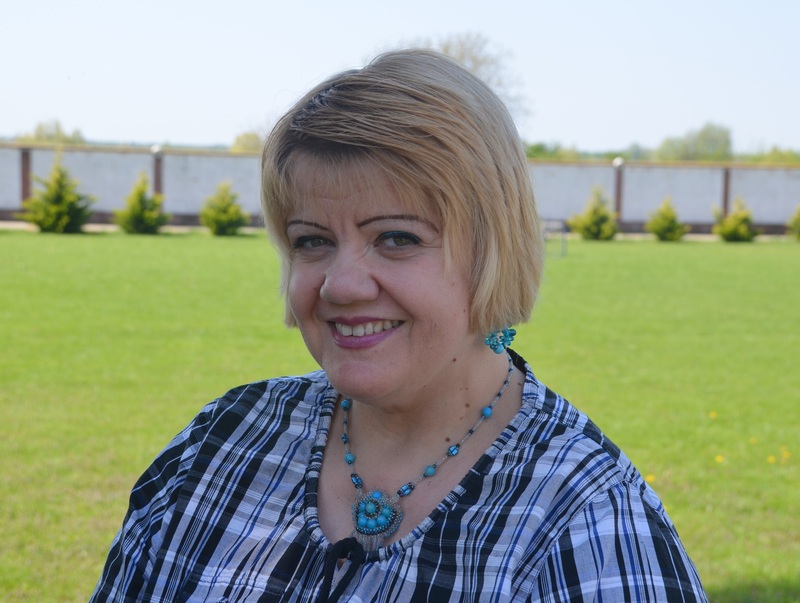 Our Elenka Kraljik, has spent almost 17 years at Hub serving others. She is leaving HUB and moving to Belgrade where she will live and continue to serve at an adult disability care center. She’s been visiting that place with the HUB students for a long time, and has many dear friends there and her wish was to be able to be there “full time” – to continue serving others and be a salt and light to people with disabilities.Pray for God’s guidance and strength while she continues her life there.Also, pray for the further development of the HUB staff team – that God may bring the right people who will be a part of this ministry. As HUB we published a couple of books in Serbian – which was our wish and vision, to continue to publish good Christian literature, for it to be accessible, as an answer to the great need that we have here in Serbia and in our region. 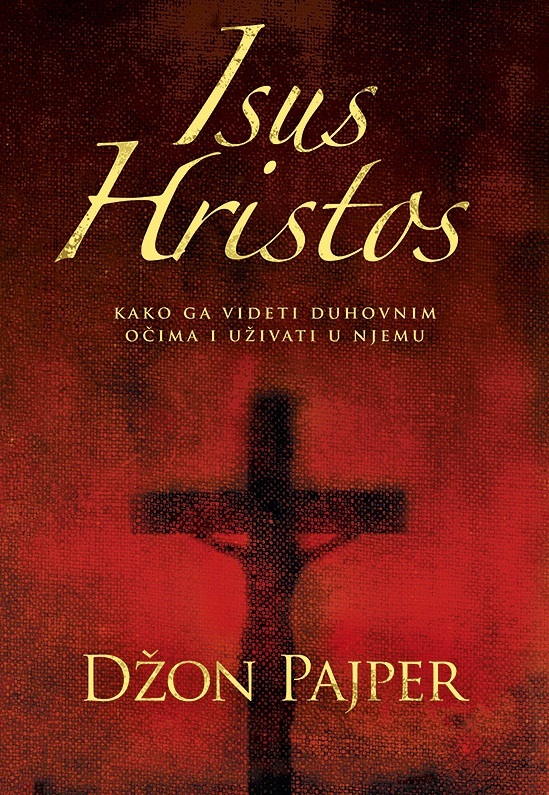 We already have a new book translated that we’re publishing in Serbian, by John Piper – Seeing and savoring Jesus Christ. We also published a book by Vaughan Roberts – God’s big picture, and also Dig deeper by Nigel Beyon and Andrew Sach. Our wish is to publish more books like that, so if you, in any way, want to help us with this, contact us, please. It’s a great blessing to have access to good Christian books. Our prayer, for a long time, has been to start some sort of public work in Opovo, a place where some of us on staff live, and a place that’s closest to HUB. Although HUB geographically belongs to Belgrade, the closest place is town Opovo. HUB with the students and lecturers really has the potential in many ways to minister and be useful to many. We visit many churches, organizations, and serve people in different ways, and so we want to be able to serve more the locals here. We rented a place in the very center of Opovo, for the needs of this café club, where we will organize different workshops for youth, parents, elderly, also have lectures, music and movie nights… There’s always going to be someone there that will welcome our guests, talk to them, etc. The church and Christians should be an active part of the society and be with the people – so that they could be the light. Please, pray for these new and large pioneering steps which we are making in faith. If you want to know more or want to be a part of this exciting beginning, let us know, your help and prayers for this are very much needed. The enrollment of the new student generation is in progress. We are excited for the new people and the new school year. We want to thank everyone who is faithfully supporting and praying for this school that it might exist, progress during all these years, accept new students and enable them to get a good quality biblical education. Thank you for everything! It’s great to know that many of those who love us pray for us faithfully and support us. Write us, keep in touch with us. There are so many things we want to share with you. It was autumn 1996 that the first group of students arrived to begin their studies in the village of Backi Petrovac in the north of Serbia. Some of you reading this bulletin were involved right back in those earliest days as you prayed, prepared aid and even travelled with us. Image below: arriving at a refugee centre with an Oak Hall coach. Through that first year of studies, we explored through the whole Bible with around thirty different Bible teachers who gave their time to serve with us. Each week, the students headed to the refugee camps to continue to share the message of Jesus with those there… our lives were shared together as we lived in community. As well as visiting refugee camps, we also travelled across the region to stand with – serve alongside – those students who had studied through the first year… and so the work gathered momentum year after year. 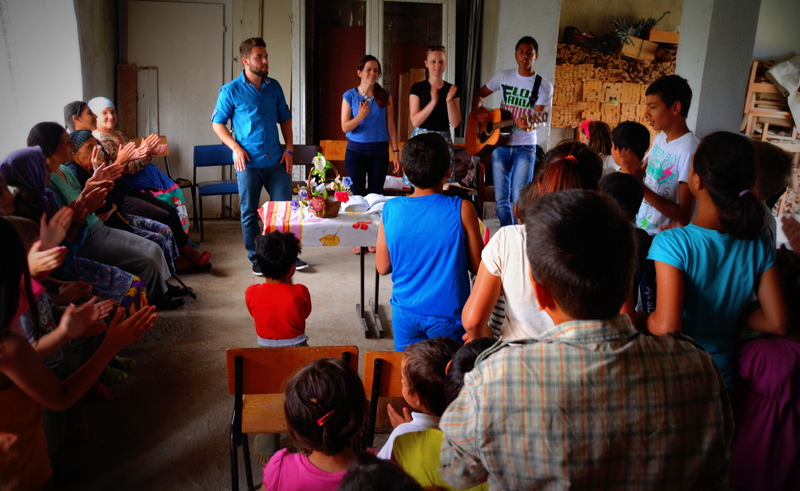 Image below: a children's camp organised by graduates Dragan and Danijela. It was soon clear that although the welcoming, small northern village of Backi Petrovac was a perfect cradle for the beginning of the Bible School that, ideally, we should seek a base in the capital of the country. After years of prayer, research and preparation, God wonderfully provided the amazing building on the edge of Belgrade that is now our centre. In 2003, after a summer of repairs and renovations carried out by graduates and team of the Bible School, the ninth generation of students began their studies in the “new” building Belgrade. This has proved to be an ideal base for the work as it grows year on year and now the twentieth generation of students approach their graduation. Image below: students outside the Belgrade Bible School Building. With former students serving in Bosnia and Hercegovina, Macedonia, Montenegro, Croatia and Serbia, it is amazing to see how God is building His Church across the region as we reach this twentieth year. Thank you so much for your prayerful partnership! Praising God for your Partnership! We praise God for the partnership of those who have been so generously giving to the work in the Balkans through Oak Hall in Serbia. It is amazing to see the work continuing to grow year on year as so many pray, so many others serve on the frontline and yet more give financially to support the work. Thank you for this wonderful co-operation for the Gospel! As ever, all of the gifts that we receive are used in the Balkans for the work on the front-lines there. None of your gift is used for back-office support in the UK or anywhere else. The costs of postage and other administrative elements of the work are all covered separately. 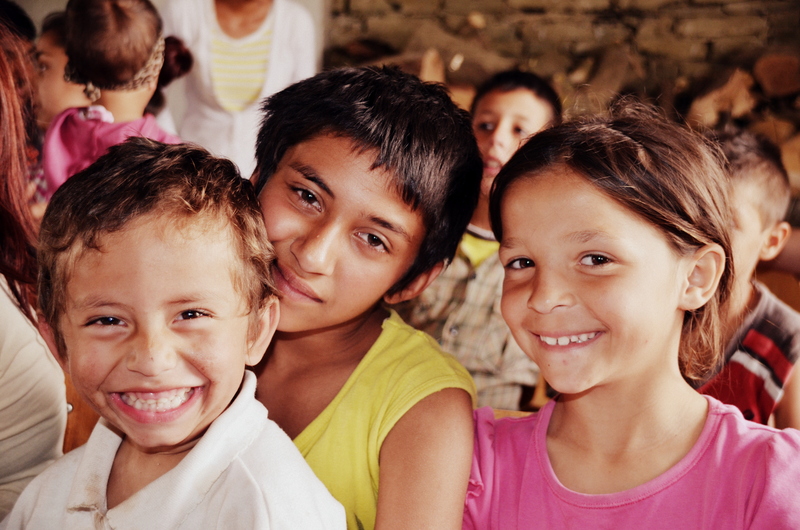 In addition, any extra amount received due to Gift Aid is also used in the Balkans. 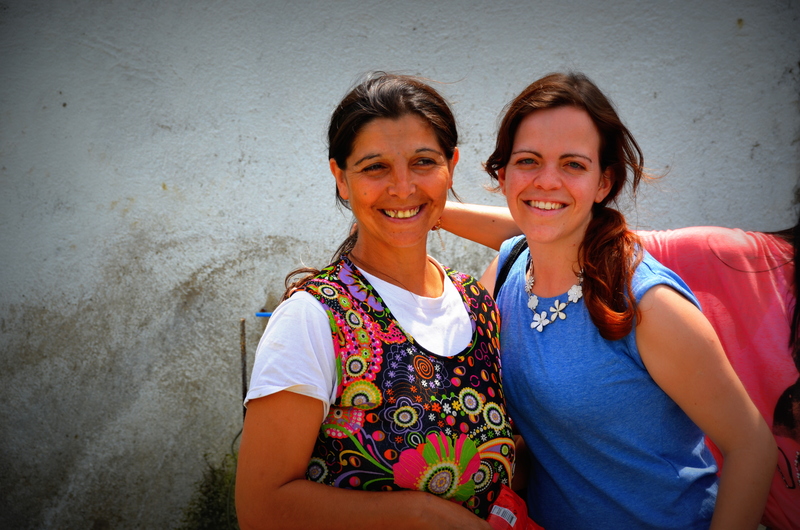 Further to this, Oak Hall Expeditions give to support the work in the Balkans as well. We don’t usually mention financial information in these bulletins, preferring instead to share news for prayer and allow those who want to enquire about supporting financially to get in touch directly. However the bank that “Oak Hall in Serbia” have been with for a number of years is reducing its involvement with charities who work overseas and with immediate effect we have had to move our banking to HSBC. 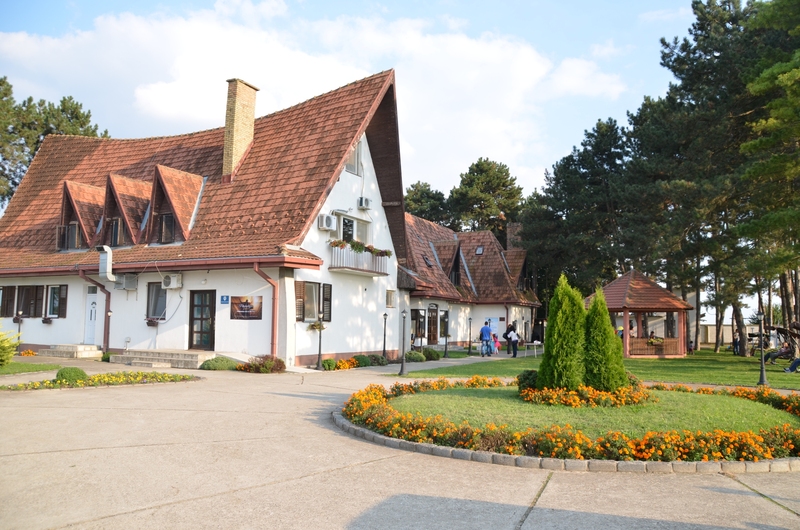 If you have a standing order for Oak Hall in Serbia, please could you contact your bank to change to the new details? If you would like more information about giving, including the opportunity to give online, you can click here. Thank you again for your prayerful partnership as this work continues! THE NEW, 20th generation of students are here ! The year 1996 sounds so long ago now, the year when two young people, Andy and Faye Mayo came to Serbia and started the Bible school, back then located in the North of Serbia, in Bački Petrovac. How much effort, courage and faith was needed to start something like this in this region! Who could have even thought what the future would bring, what further steps the School would take and where God would lead us. God is amazing! We have been witnesses of His guidance, grace and care throughout all of these years. We give thanks to Him for having been so faithful to prosper and develop the Bible school ministry, and for making it a blessing to nations across the Balkans. So far, there have been altogether 350 students of the Bible school, and today we can see them as leaders, servants, and initiators of many things in churches, organizations and mission fields across the region. Amazing! Many of you who are reading this have been a part of all this. You have been praying and supporting this ministry all these years. God has blessed many people through you. Thank you for your faithfulness and endurance over the years. Here we are now, with our 20th generation of students. We have 22 students here, who go forth through what God calls them: to study the Scripture, to grow spiritually, and to become equipped to take the gospel all over the world. This is the vision of the school and our prayer for them – we want churches strong, the Gospel proclaimed, and God glorified! HUB ministry through summer camps ! For the first time at HUB, we organized family camps for parents with disabled children and children treated for cancer. What a privilege to serve them and be a part of something like this! From volunteers to each family and child, we were all so blessed that it’s hard to express with words. After much work and many preparations we expected it to be good, but it even exceeded our expectations. We would like to go on with this and have such and similar camps in HUB next year too. Please pray for this, join us in this, encourage others to pray, support us either by volunteering or helping a family financially, so that they can be here. We trust it will be a blessing for you. We believe that serving these families and children who are going through the most difficult life experiences is precisely what Jesus would do. At this link, please, take a look at the video with a song that marked our summer camps. Thank you so much for praying for Sara and our family. God stays faithful and we are happy that she’s recovering well. There are no signs of disease, which is fantastic. Even though many things we are now facing and those that are coming are not easy, we are convinced that God gives us strength and guides us step by step. We want to be and stay faithful to Him for Sara’s and our future. Please keep praying for Sara, for us, for wisdom, for patience in our further steps and plans in every day and every challenge that we face. Thank you wholeheartedly. Thank you for standing with us and HUB and Bible school ministry all these years. God is faithful and meets all our needs according to the riches of His glory (Philippians 4:19). In the end we want to pray for you with the words of Apostle Paul: ’…be strengthened with all power according to his glorious might so that you may have great endurance and patience…’ (Colossians 1:11). With refugees from Syria moving through Macedonia and Serbia, graduates of the Bible School are involved in serving these vulnerable people. 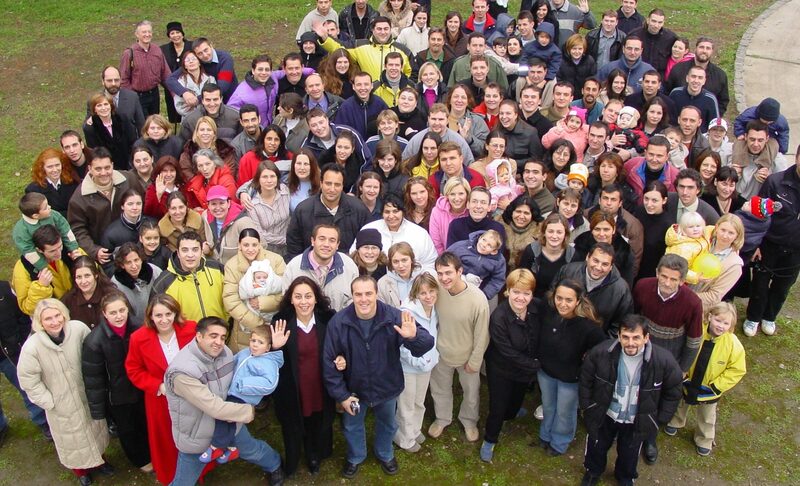 Dragan Manev is mobilising teams in Macedonia along with the Agape churches. Together they are providing shelter, food, hygiene packs and the scriptures in Arabic. Darko Adamek in Serbia is also mobilising teams in a similar way. We are sending some financial support out to these projects. If you would like to be involved, please pray – there are also details here of how you can give to support if you would like to. You can read our latest news on the link bellow. Thank you so much for your care and love for us. Sarin Kutak – Najnovija dešavanja kod Milenkovića – jun 2015. Možete čitati naše najnovije vesti od nas na linku ispod. Our HUB Bible school mission trip with the 19th generation students is over. What wonderful days! We have been eagerly expecting this! With 4 different teams, we visited 22 towns and villages across Serbia and Macedonia and many of our former students that are on the mission field. It was encouraging to see what God is doing with them there, and also have the opportunity to, at least, have a taste of what mission work is really like. Most of our students will finish school in just a couple of weeks, and our prayer for them is that after finishing they would go out and declare the good news all across this region. We know that God is gracious and good! His salvation gospel is so magnificent and true, and it really changes people’s lives! We need bold and courageous people who will embrace God’s calling and go wherever He wants them to. I thank you for your prayers and your support. Misijsko putovanje 19. generacije studenata Biblijske škole je završeno. Kakvi dani!? Ovo smo nestrpljivo čekali! U 4 različita tima, posetili smo 22 grada i sela širom Srbije i Makedonije i u njima mnoge bivše studente koji se nalaze na misijskim poljima. Bilo je ohrabrujuće videti šta Bog radi tamo među njima i imati priliku da bar delimično osetimo ukus misijskog rada. Većina studenata za samo par nedelja završava školu i naša molitva zanjih je da nakon škole objavljuju radosnu vest širom ovog regiona. Posetili smo Bog je milostiv i dobar, njegovo Evanđelje o spasenju je tako veličanstveno i istinito i ono zaista menja ljudske živote. Trebamo odvažne i hrabre ljude koji će prigrliti Božiji poziv i ići tamo gde ih On želi. Hvala vam za vaše molitve i podršku. 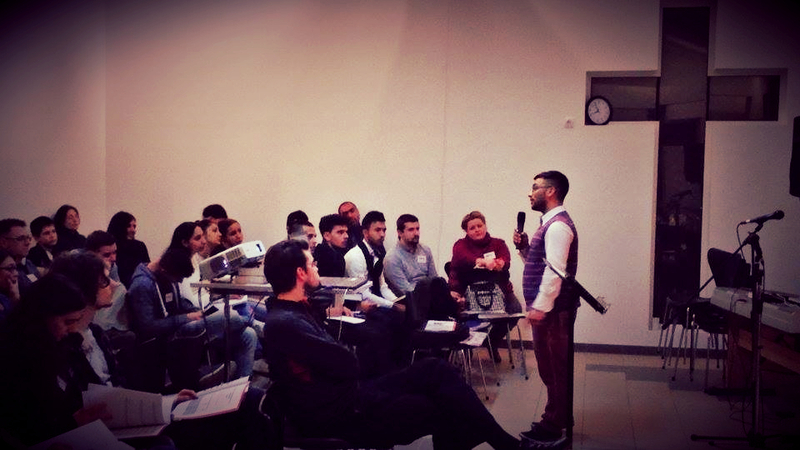 Last weekend we organized a conference for youth leaders from Serbia. About 40 young people came, and we spent a blessed time together through teachings and fellowship. The topic was 1 John 2:6, the verse which addresses all believers to walk in the same way as Jesus did. For me personally, it was awesome to spend time with young people who are called by God to serve in Serbia, and I am thankful for the privilege that I could share some things with them during the conference, that I could challenge them to examine if Christ is truly the ‘model’ for their ministry. It was great blessing and encouragement to hear the feedback of some people. A young man came up to me and said that he’d had no expectations before he came for this conference, and he thought that it would be just another series of teachings , good, but nothing special. I was encouraged greatly when a couple of guys came up to me and asked me if I would be their mentor. It’s great to see that people see my life as a good example.